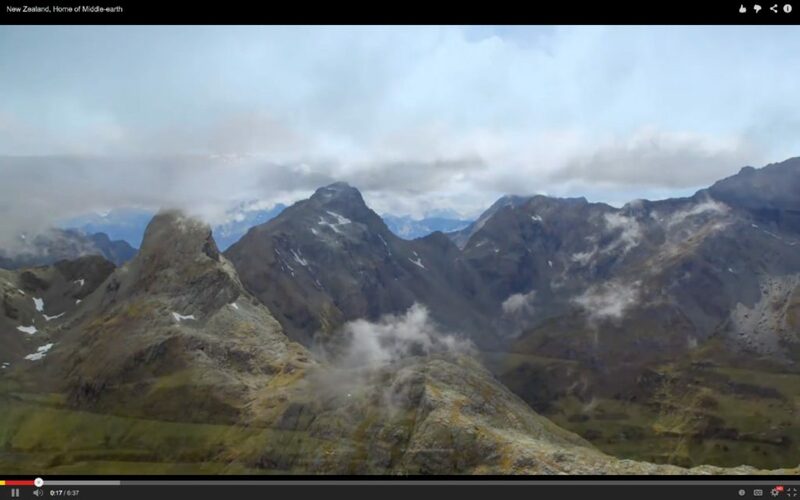 New Zealand is magical, beautiful, and majestic for Hobbit fans and non-fans alike. If you’ve ever dreamed about visiting a far-away, magical land, you don’t have to dream any longer! 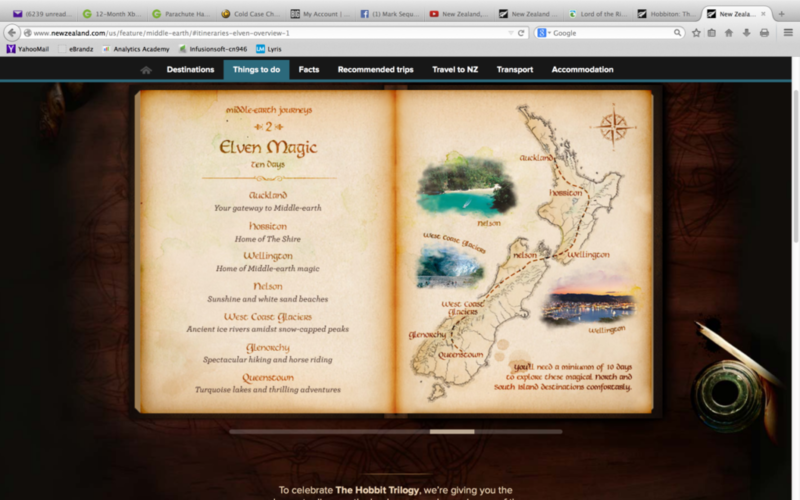 While most “magical” places are fictional, New Zealand Hobbit film locations and Lord of the Rings movie sets are just an airline ticket away. 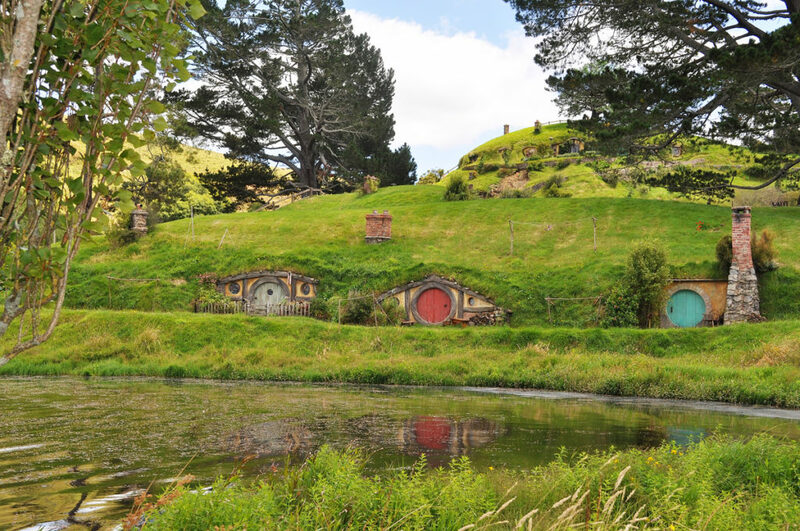 Chosen as the filming site for many incredible movies due to its majestic mountains, shimmering waters, and lush greenery, you can visit many of the locations from Peter Jackson’s Lord of the Rings and The Hobbit movie trilogies on both the North Island and South Island of New Zealand. 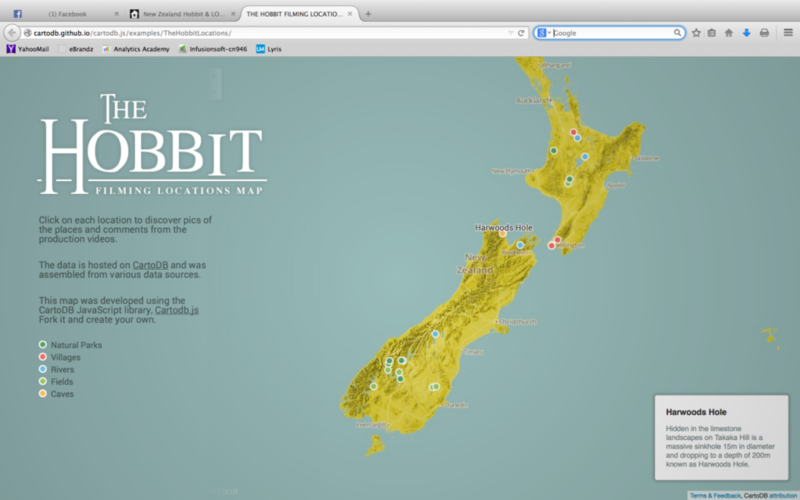 Click on the above image to see some of the incredible country (Hobbiton is at around the 2:15 mark) or visit http://www.newzealand.com/ for a great introduction to this wonderful place. “In a hole in the ground there lived a hobbit.” The charming town of Hobbiton (as seen in The Fellowship of the Ring and An Unexpected Journey), is actually located in the farmland of Matamata, and is perfect to the last detail. The 44 hobbit holes are surrounded by beautiful plants and flowers on all sides, and are perfect for hobbits and tourists alike! You can also visit the Green Dragon Inn – a real inn inspired by the Green Dragon Inn that was shown in the movies. The Waitomo Caves were the inspiration for the Goblin-town, but with thousands of twinkling glowworms illuminating the cave walls, it isn’t too goblin-like. The caves are a must-see for anyone traveling there. Twizel is the vast plain where the company was chased by Orcs, and where the trolls’ cave was found. You probably won’t find evidence of Thorin and Company having been there, but it’s still a perfect place for hiking or boating. Hakatere Conservation Park is home to the sturdy kingdom of Rohan, seen in both The Two Towers and The Return of the King, and also home to many rare plants and animals. The almost 60,000 hectares of rugged mountain country, large forests, and sparkling rivers and lakes will keep you busy exploring for many a day. The misty turquoise lake where Laketown sits is actually called Lake Pukaki, which lies on the South Island at the base of Mount Cook – the tallest mountain in New Zealand. While you probably won’t find any Nazgul at this amazing movie site, Tongariro National Park was a perfect choice for Mordor. With desert-like plateaus and active volcanoes, you simply can’t skip this great tourist attraction! 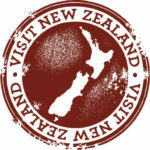 NOTE: A good travel tip when visiting New Zealand is to remember New Zealand is south of the equator. Their winter is our summer and vice versa. Best times to visit are from October to April. So plan accordingly. Also weather on the two islands is very changeable/unpredictable so pack accordingly, with light rain gear (Expect rainfall all year long), and layered clothing! New Zealand is an outdoors, and hikers, paradise so bring comfortable hiking boots and your beach gear, but don’t pack too heavy, so you can enjoy traveling all around the island(s)! I recommend stuffing an empty, smaller bag or two inside a larger bag or backpack. Of course, visa, passport and good travel insurance are a must. You shouldn’t need any special immunizations or shots. Expect the internet to be slow and expensive, and wi-fi not always easy to find (try McDonalds!). Restaurants are about the same price as the USA, as are hotels, and there are LOTS of ATMs all over New Zealand, so it shouldn’t be hard to get cash as needed. Check out the excellent travel forums on Lonely Planet Thorn Tree for more travel tips at https://www.lonelyplanet.com/thorntree/forums/australasia-pacific-australia-new-zealand-antarctica.